With a third of the year gone – unbelievably, don’t you think – the awards shortlists and winner announcements are hotting up. There were a few in April, on which I’ll report below. First, though, my usual brief statistical summary. 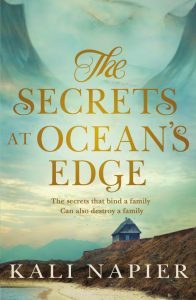 Our most reviewed author was Kali Napier, with four reviews for her latest book The secrets at ocean’s edge, with several authors being reviewed twice, meaning, really that the reviews were spread widely this month – a good thing I think. Our top reviewers were n@ancy (Nancy Elin) who posted 8 reviews, closely followed by last month’s top reviewer, Ashleigh Meikle (The Book Muse), with 7 reviews. 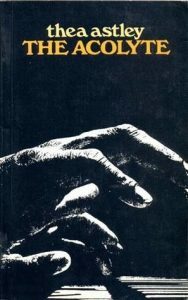 Despite our bumper crop of reviews this month, only one was for a classic, and pleasingly it’s a somewhat out-of-left-field one that hasn’t appeared here before, Thea Astley’s The acolyte. 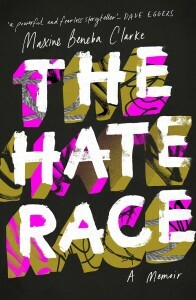 This was Astley’s 6th book (and the 9th to be reviewed for our Challenge.) 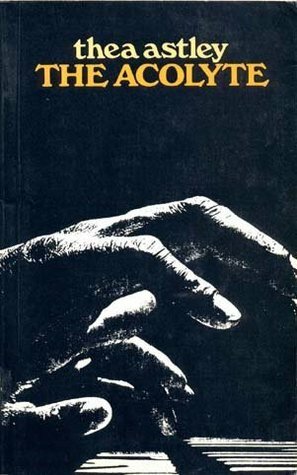 It was published in 1972, and was the third of her four Miles Franklin Award wins. Our reviewer was our month’s top reviewer, n@ncy. The novel is told first person by the titular acolyte of a musician/composer from a Queensland town called Grogbusters, and who makes it big. N@ncy identified what she sees as some of the novel’s strong and weak points. …Catholic rituals and history, poetry. …these ‘gems’ hidden in the text! …but just keep on reading! Early in her review, N@ncy writes that “We find ourselves laughing, but quickly realize the horror that lies beneath… the seemingly amusing situation”. This sounds spot on for an Astley novel. Straight genre books don’t often appear in the Literary category, but genre-benders – that is, books which cross two or more genres – often do. Several were reviewed in April, including Jenny Ackland’s Little gods, Caroline Beecham’s Eleanor’s secret, Kimberley Freeman’s Stars across the ocean, Krissy Kneen’s An uncertain grace, Heather Morris’ The tattooist of Auschwitz, Lois Murphy’s Soon, and Jane Rawson’s From the wreck. 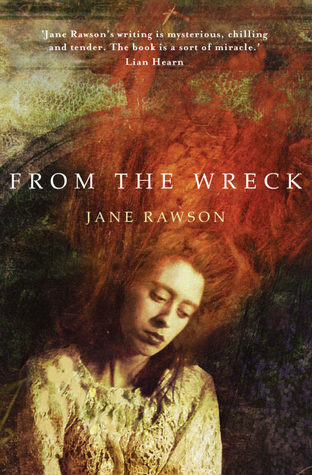 Jane Rawson’s From the wreck, which won this years Aurealis Award for Speculative Fiction, is a good example. It crosses the speculative fiction genre with historical fiction, which sounds, on the surface, a contradiction in terms. I haven’t read it yet, but it appears that although its subject is a shipwreck that happened in the 19th century, some chapters, says n@ncy, are told by a “being from another dimension” whose life is somehow entwined with wreck survivor George. Anyhow, don’t take my word for it. Search for these titles in our review database and see what you think. Another busy month for awards. The highlight for us here was the Stella Prize, but other winners and shortlists were also announced. As last month, books not yet reviewed for our Challenge are asterisked. It would be great to see them reviewed in the coming months. One of last month’s three asterisked books has now been reviewed. Thanks n@ncy! 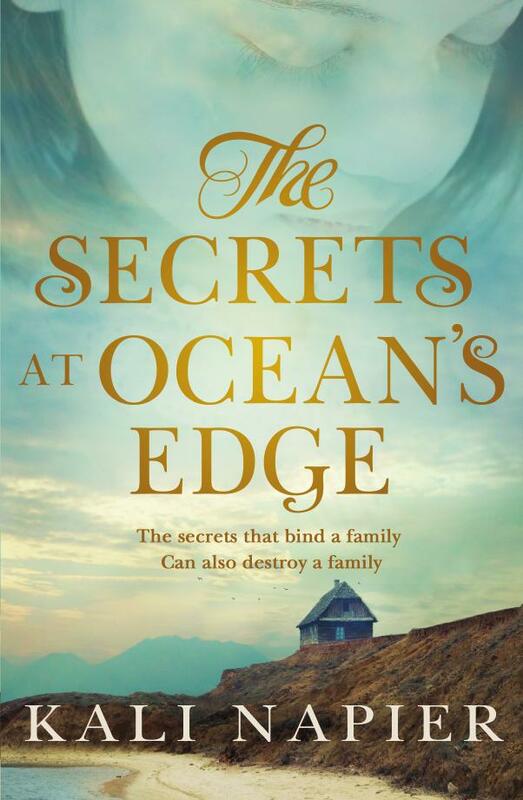 The New South Wales Premier’s Literary Awards were announced at the end of the month, but the awards most relevant to this Literary category went to men this year – Bram Presser (The dirt book) and Kim Scott (Taboo). I sincerely congratulate them – and move on! The winner was announced on 12 April and was, in case you haven’t caught up with it by now, Alexis Wright’s “collective memoir”, Tracker. 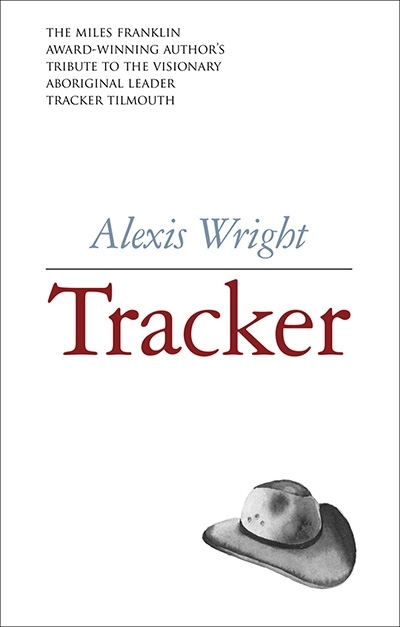 It was the second non-fiction book to win the award in its six-year history, and the first indigenous author to win. It has been reviewed for the challenge, but not this month. 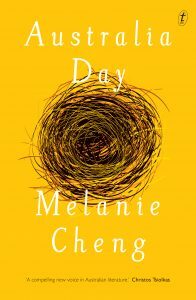 effortless, unpretentious realism balances an insider’s sensitivity and understanding with an outsider’s clear-eyed objectivity, showing us a version of ourselves richer and more multifaceted than anything we’ve seen before. 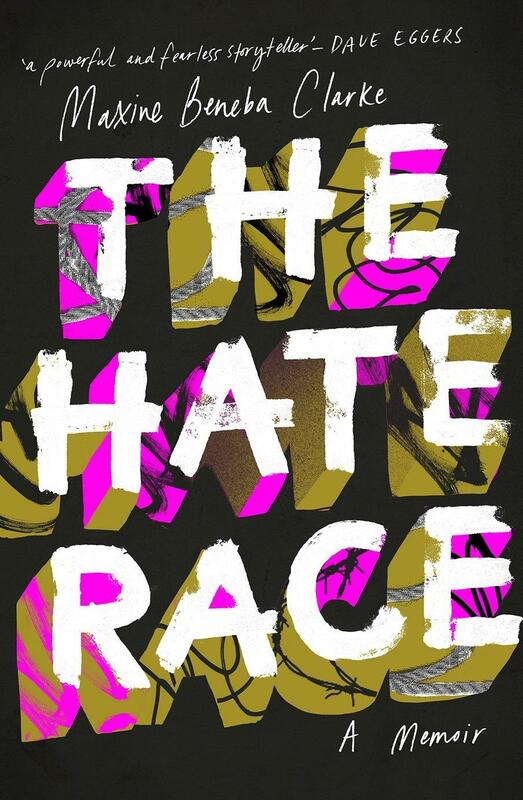 N@ncy reviewed Maxine Beneba Clarke’s The hate race, and said it left her “speechless”, while Kate (booksaremyfavouriteandbest) and Kim Forrester (Reading Matters) reviewed Michelle de Kretser’s The life to come. Kate called it “solid” while Kim believes it will be one of her top 10 books for 2018. She praised “the silky prose combined with her superbly drawn characters and her forensic eye for detail”. Strong point: Sarah Krasnostein can write! I am so impressed and happy I discovered this new writer. If this is a first book…I hope to read may more by Sarah! while at times its relentless intensity is challenging, it’s a reminder that the role of story telling isn’t just to entertain, it’s to challenge and stimulate and to chart alternative ways of searching for meaning. I am Whispering Gums and I read, review and blog about (mostly) literary fiction. It was reading Jane Austen when I was 14 years old that turned me on to reading literary fiction/classics, which is why I am here today doing this round-up! Little did Jane know what she started! My love of Aussie literature started with Banjo Paterson’s ballads and Ethel Turner’s Seven Little Australians in my childhood. But, I didn’t really discover Australian women’s writing until the 1980s when I fell in love with Elizabeth Jolley, Thea Astley, Olga Masters, Helen Garner and Kate Grenville. Ever since then I have been included a good percentage of Australian (and other) women writers in my reading diet. I love all these awards and stats. Well wrapped up Sue! Thanks Theresa for saying that. I’m starting to get sick of myself! !